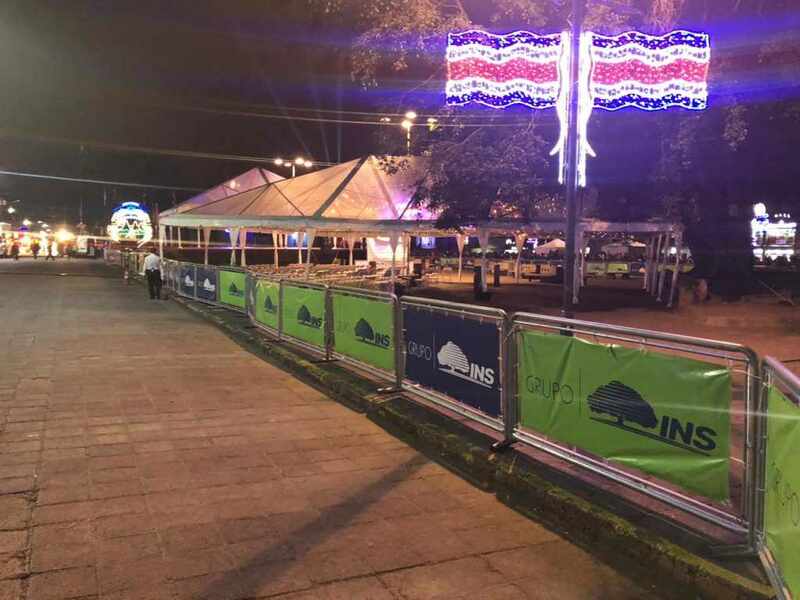 Home National Cartago What if there was a party and nobody came? 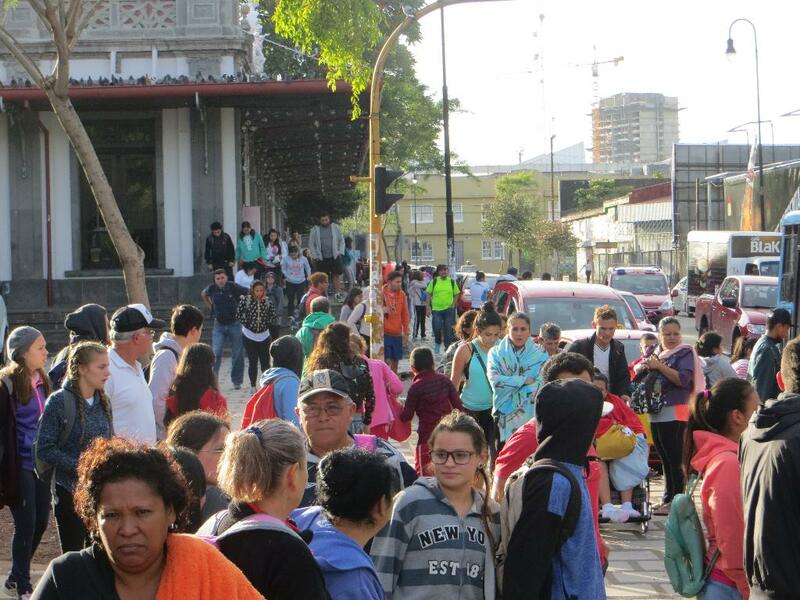 As is the tradition in Costa Rica every September 14, the Municipality of Cartago carries out a series of activities to commemorate independence. One of the main activities is the receiving of the Torch of Independence and a symbolic cabinet meeting by the sitting government. But this year, the national strike that was in its fifth consecutive day, is being blamed for the lack of people showing up for the independence ceremonies. First, an alleged blockade, which the unions deny, in Esparza, Puntarenas meant the independence flame was put out while the torch was airlifted to Cartago. The torch arrived early in the ‘old metropolis’ and safeguarded at the local police station until the evening. For its part, the unions denied that the passage of the torch was blocked or that the safety of the students was put at risk. An alternative torch was carried from Esparza to different parts of the country without suffering any setbacks. The second, the government of President Carlos Alvarado decided that the session of the Governing Council – cabinet meeting – was not going to take place in the Plaza Mayor, as is the custom. 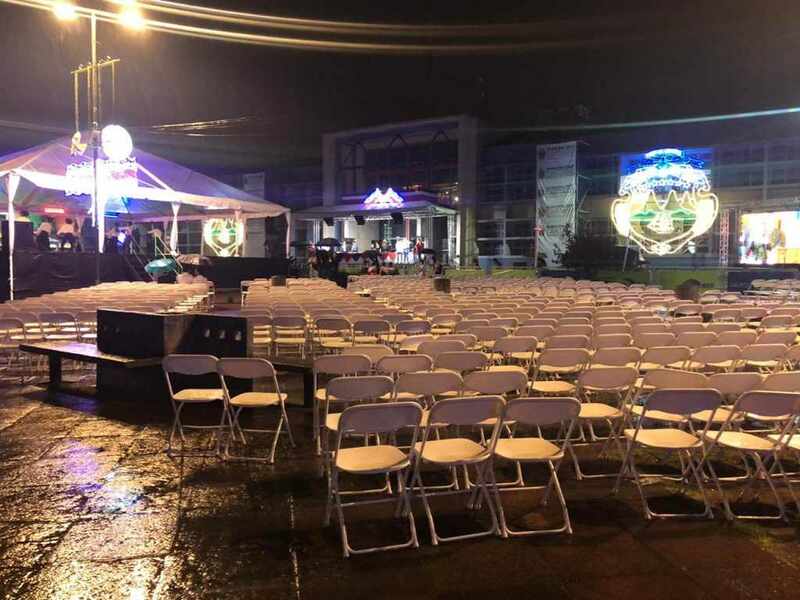 This year the cabinet met behind closed doors in the Municipality of Cartago offices, while a small number of attendees celebrated the outside cultural activities, to which rain and the lack of a cover in the square caused the few present to leave their chairs empty. 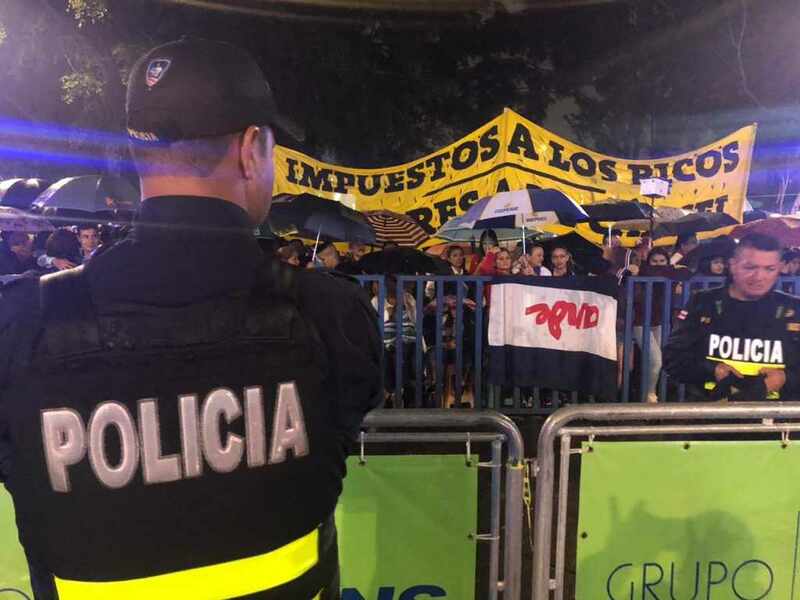 Meanwhile, behind a police line were hundreds of protesters with flags, blankets, and banners protesting against the plan fiscal (tax reform). Far away from the public, President Carlos was booed while receiving the torch, and screams of “afraid, afraid, afraid” could be heard, noting the president and his staff distance to the people.